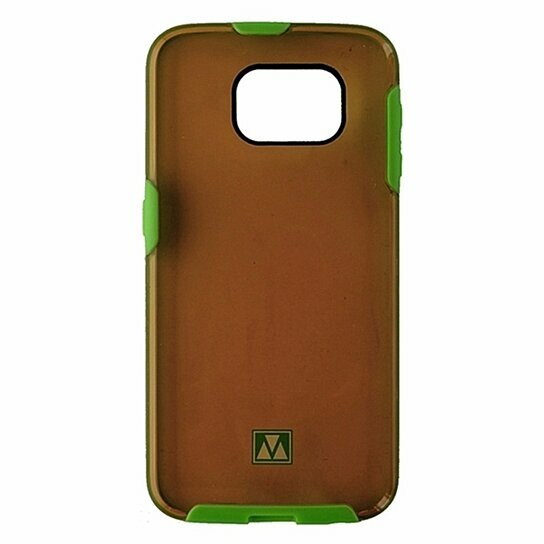 M-Edge products, Glimpse Series, Hybrid Case for Samsung Galaxy S6. Translucent Orange hardshell backing with Lime Green shock absorbing border trim. Scratch resistant finish.